Between Halloween and the whole Kristen Stewart-Robert Pattinson drama (real and reel), vampires are having a hot moment. 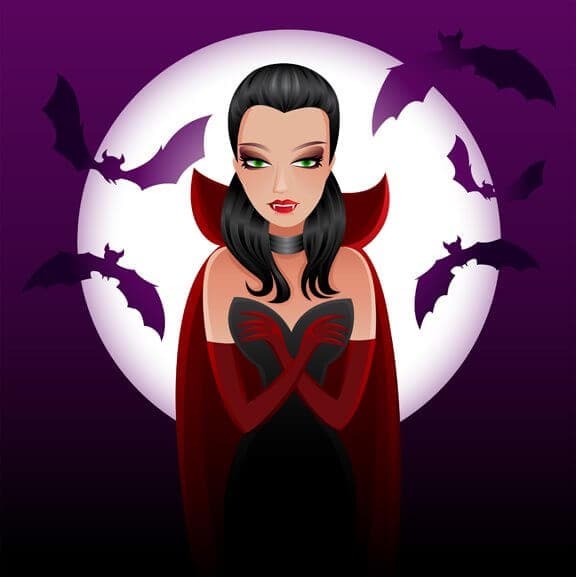 And now there is a new beauty procedure making its way through the needles of dermatologists – it involves injecting your own blood into your face and is charmingly known as “the vampire facial”. How does this blood-sucking beauty bit work? First, the doctor draws three phials of blood from your arm. This is then spun in a centrifuge for 20 minutes that turns the blood into a gel-like substance called platelet rich plasma (PRP), which encourages tissue healing and growth when it’s re-injected into your body, via the face. Thankfully, the dermatologist will first anaesthetise your face with a cream, as the injections hurt! Like hell. Some results are immediately noticeable. However, since this hour-long treatment (which costs approx US$500) actually encourages new tissue growth, the full effects become more apparent over a couple of weeks as the skin starts looking increasingly refreshed, rejuvenated and younger. All of which is finding much favour with premature-ageing-worried women who are seeing the vampire facial as a “natural beauty product”. As one devotee claims, it is better to use something from your own body to treat your body. And it’s not exactly a new science: In fact, this technique has been successfully used in various surgical specialities, like plastic and orthopaedic surgery to improve wound healing. However, there are some side effects. The injections themselves last half an hour and though doctors warn of “some soreness”, several women actually report very noticeable bruises that last for a fortnight. Plus, blood may cause some post-injection itchiness and possible discolouration. Ah! And then there is the little problem of some people passing out from having their blood taken or seeing syringes headed towards their face! A freaky and weird beauty option? Perhaps! But the quest for eternal youth has long been wild and whacky. From cactus facials to fish nibbling your body, beauty comes at a cost. The question is – are we willing to pay for it in our own blood? « WATCH: Prince William finds his (very awkward) dancing feet! ya, in fact I had completely forgotten about that!!!! Okay, I get that you are using elements from your own body, but it sounds a little too vampirish! It really seems like your body would re-absorb it’s own blood, but maybe since they make it into a gel it responds differently. I can totally see why Angelina Jolie pops into your head. On a happier note, how is Before Versailles? Been travelling so haven’t started it yet. Want to read it when I have some peace and quiet. I understand… there is nothing more that I would like right now than some silent, me-time with Marie Antoinette and Sisi!